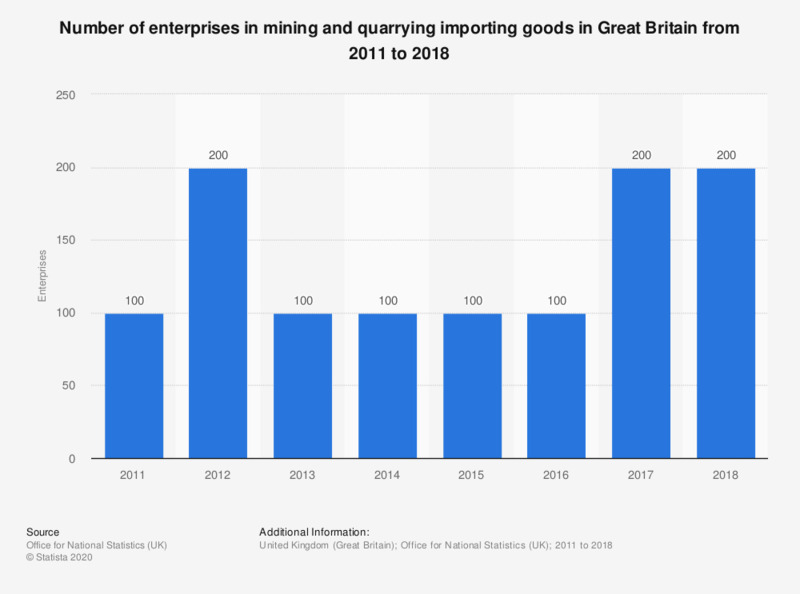 This statistic presents the number of enterprises in mining and quarrying exporting goods in Great Britain from 2011 to 2017. The number peaked with 200 enterprises in 2012 and 2017. Beside the peak the number of enterprises stayed constant at 100.